The Provincial Chapter of Nova Scotia IODE was formed October 22, 1920 with 20 primary chapters. Members had been supporting the war effort and assisting veterans of the Boer War and their dependants. Following the Halifax explosion in 1917, members established a fund to provide care and comfort for homeless children and the injured. Subsequently this fund supported the Home for Feeble-Minded Children until the provincial government assumed responsibility. As World War II began, chapters raised money to provide supplies for the military personnel passing through the Port of Halifax. Nova Scotia IODE members operated canteens where personnel could find a warm cup of coffee, a meal, and a place to write a letter home or attend a dance. A library was set up to provide reading material to hospitals, hospital ships, Navy and Merchant Navy. Nova Scotia members across the province provided $17,000 of the $100,000 raised nationally to purchase the IODE Bolingbroke Bomber. Alan Roy, a Distinguished Cross recipient and crewmember of that bomber, spoke about the aircraft and its missions at the 2005 Provincial Annual Meeting. Following World War II, members welcomed war brides, wives, children and immigrants arriving at Pier 21, Port of Halifax. IODE members helped them learn English, a new currency and Canadian customs. Members are still involved with citizenship courts and welcoming new Canadians. A plaque recognizing the contribution of IODE during the war was placed on the wall of Pier 21, a National Historic Site, marking the 100th Anniversary of IODE. Education remains a primary provincial focus. In 1956 the Provincial Chapter Bursary Fund was established to assist graduating Grade 12 students. Individual chapters present additional scholarships and bursaries to local students. A bequest from the estate of the last provincial chapter charter member, Annie G. Murray, was used to establish a bursary fund named for her to award a yearly grant for a post secondary education student. The Provincial Chapter celebrated 50 years of service by spending $5,000 to purchase therapeutic equipment for the Nova Scotia Rehabilitation Centre. To celebrate the 70th Anniversary of the Provincial Chapter, books were purchased for the CNIB Talking Book Program. In recognition of the Year of the Disabled, chapters purchased Braille books, wheelchairs and other necessary equipment. The Provincial Chapter has supported kidney research at the Isaac Walton Killam Children's Hospital in Halifax as a major program since 1975. Through the Cent-A-Meal project, members across the province contribute a cent for every meal eaten during July and August. These funds support Dr. John Crocker's research into children's kidney disease. To mark the International Year of the Child in 1979, $12,000 was given to further this research. Dr. Crocker updates members annually and explains how the IODE contribution will he used during the coming year. In 2001, $10,000 was raised in a special appeal for kidney research. To mark the 75th Anniversary of the Provincial Chapter, $100,000 was raised for the Staff and Patient Education Centre at the new Grace Maternity Hospital, IWK Children's Hospital. Patients also benefit from IODE sponsorship of the Good Samaritan Fund at Queen Elizabeth II Health Sciences Centre. This fund is used for necessities for emergency patients admitted to care. Chapters support IODE programs in Labrador and when asked in 1998 they responded enthusiastically to a request for hockey equipment; 25 cartons were shipped quickly to the Davis Inlet Recreation Commission. Hurricane Juan struck Nova Scotia in 2003 damaging much of the province. Provincial members raised funds to provide books for a Dartmouth school that required rebuilding. The Provincial Chapter utilized money from the IODE Canadian Disaster Fund to purchase lobster traps for local fishermen so they could earn a living. Services work in 2004 totalled $300,000 including equipment, furnishings, bedding, food, personal property bags, clothing and supplies for homes for battered women and youth centres. 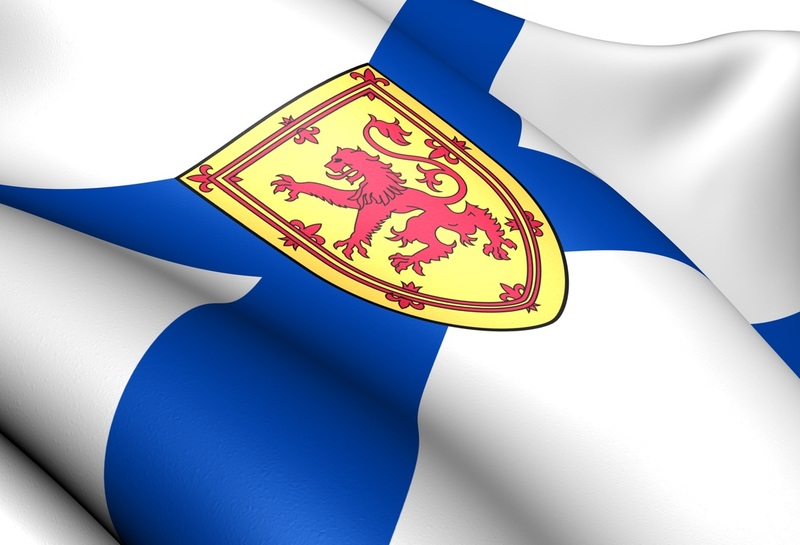 Membership in IODE is a priority for Nova Scotia members. Members continue to strive to increase their numbers yearly through the competition for the Dorothy Sutherland rose-filled silver bowl. The chapter gaining the greatest number of members during the year receives this award at the provincial annual meeting. Times change, needs change, but through the mission of IODE Nova Scotia members continue to respond to needs and challenges. Hundreds of volunteer hours are given by enthusiastic women throughout the province. Nova Scotia members are proud to be ... women working together for Canada. Visit the website of the Provincial Chapter IODE Nova Scotia.